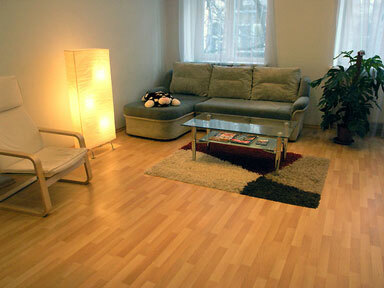 This large one room apartment was designed for 2-4 guests. It is situated in a small central street near the embassy. It is Reitarskaya street, № 26, in the corner of Yaroslavov Val and Gonchara streets. It is the center of the city, not far from Khreshchatyk Street. The apartment itself is located on the 3rd floor. The house has an elevator. The entrance to the house is from the side street. The nearest metro station is "Golden Gate". At the porch of the house there is a combination lock. The apartment's windows face the street and the yard. There are two balconies. 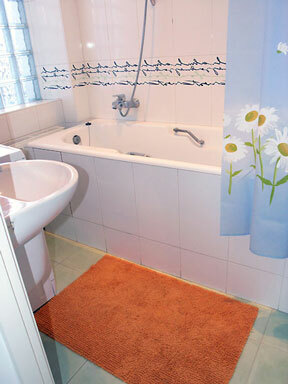 The house has central water supply, hot water round the clock and central heating of apartments. Living room is connected with the hall. There is a sofa bed in the living room and there is a double bed in the bedroom. Thus, 4 people can stay in this apartment . The apartment also has cable TV, satellite TV (available are non-encrypted channels), air conditioner,high speed Internet connection (200 Mb per day are free, over 200 Mb - 0.10 UAH per 1 Mb), direct dial telephone. Kitchen is also equipped according with the requirements of modern society. 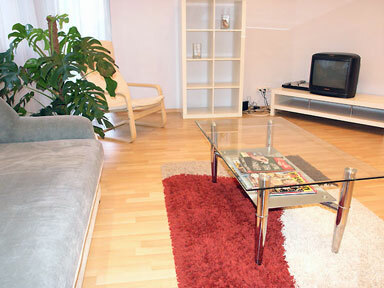 There are gas stove, refrigerator, microwave oven, and necessary set of dishes, dining table. 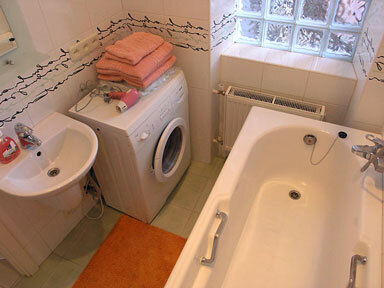 The bathroom has a standard bathtub and washing machine. 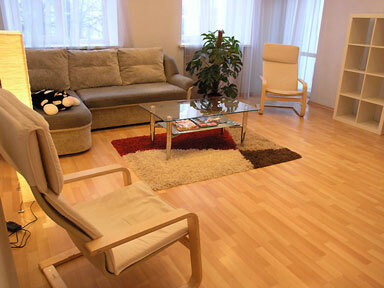 Apartment will provide you with house and home and excellent conditions for a good rest. Low season (08.01-30.02) - $ 85 per day. Seasons (1.03-30.12) - 91 $ per day. High Season (April 28-May 8, December 30 – January 7) - $ 109 per night (minimum period of rent is 5 days). 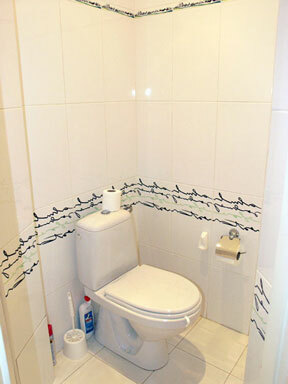 Long term rent: 1-2 months - $ 2150 per month and more than two months - $ 2000 per month.